This is some really cool stuff and as Chiisu81 said I would love to have some signs for The Village of Brebury. Sure thing, I started working on ideas for a couple of signs this afternoon. Probably will take a couple of days for me to finish them up. Thanks... I just started creating renders of some of the more prominent townsfolk starting with Allison the Owner / Barkeep / Bouncer of The Crazy Unicorn. Here is an idea I had for The Crazy Unicorn. I hope this is useful, or at least entertaining. I will play around with a couple more signs over the next week or so. If this rough idea looks fun or ok I can draw it up on my tablet so it comes out being something more useful for your document. 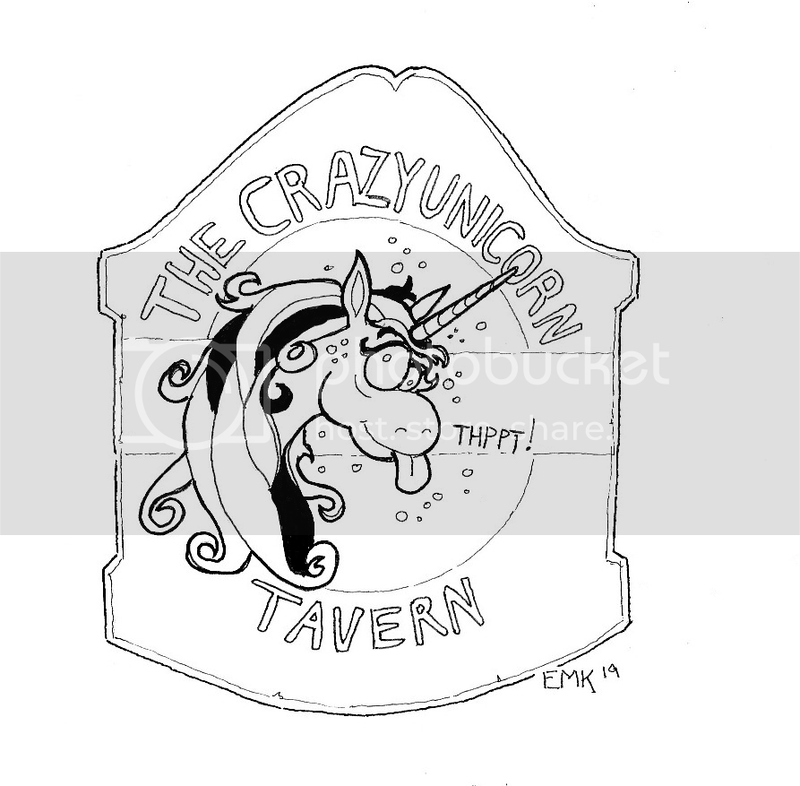 Just don't want to get way down the road and find out that you'd rather have something gritty and realistic like the old Unicorn Tavern in the Thieves World books. That's awesome! My groups that have been through the town have been humorous so that is perfect! Thanks much!